The Society of Women Engineers (SWE) is an organization that, for nearly six decades, has been focused on enabling women to achieve full potential careers as engineers and leaders, expanding the image of the engineering profession as a positive force in improving the quality of life, and demonstrating the value of diversity. 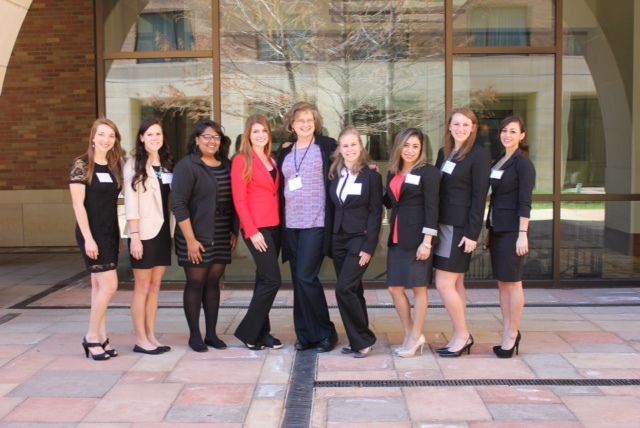 The Baylor collegiate section of SWE is involved in several outreach activities to show young students the opportunities within science, technology, engineering and mathematics (STEM) such as Girl Scout STEM Conferences and the City of Waco’s Engineering Day. We also encourage networking within our section as well as beyond by hosting social events on campus and attending our SWE Regional Conferences. In the coming semesters, we hope to expand our community outreach, create and strengthen corporate and alumni relationships as well as send several members to the National and Regional Society Conferences. We are excited about the growth of the Baylor School of Engineering and Computer Science and hope to continue being an integral part of preparing our students to be professionals. For more information, visit the Baylor SWE website.